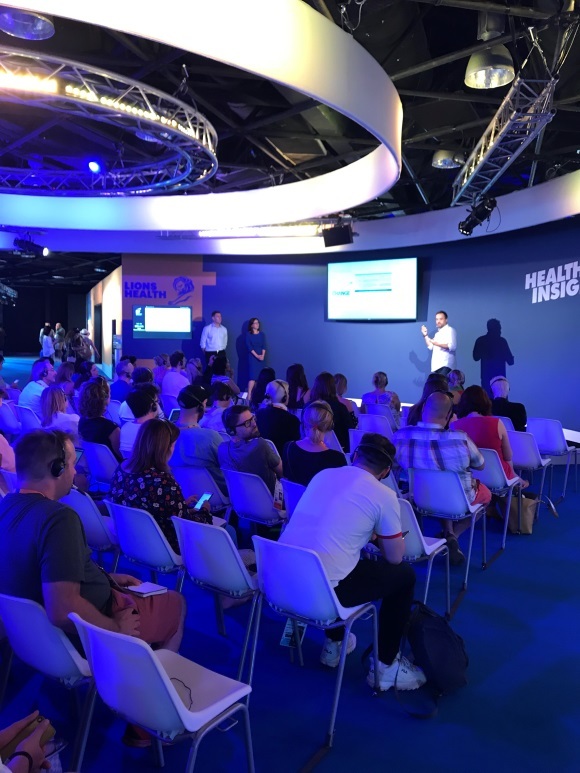 Integrated communications agency, Pegasus opened the Healthcare Insights Stage at Cannes Lions today (Monday 18th June) with a speech that explored how organisations and academics can work better together to use behaviour change science to solve real world health challenges. The speech was led by Dr Paul Chadwick, Senior Teaching Fellow at the University College London Centre for Behaviour Change (UCL CBC), with Corrina Safeio, Head of Planning & Insights and Stuart Hehir, Creative Director both from Pegasus. Pegasus’s speech ‘Can Behavioural Science Save Lives?’ talked about the positive relationship that academia and marketing – be that agency or client – can have when they bring behaviour change science together with the creative services industry. Dr Paul Chadwick expanded on the COM-B methodology before discussing its real world application with Corrina Safeio. Stuart Hehir then closed with a deconstruction of Pegasus’s award-winning campaign Small Talk Saves Lives for Network Rail and Samaritans, breaking down how and where behaviour change theory informed and inspired the creative strategy and content. Corrina Safeio says, “We’ve been closely collaborating with UCL CBC for over two years and they’ve helped us with the development and application of our strategic planning framework – CHANGE – which puts its validated COM-B methodology at the heart of the creative process. We’ve been upskilling our team on how to apply CHANGE to client challenges, using this evidence-based framework to identify current behaviour barriers and diagnose the creative interventions that will ensure its integrated programmes have impact with audiences and drive behaviour change in health. For more information, images or interviews, please email marketing@thisispegasus.co.uk or contact Helen Pattison or Maria Boiling on 01273 712000.